His revolver resting in his worn leather holster. A little less than a year ago, I lost someone very close to me. Even as I reached adulthood, he was known simply as "Mr. Ken." He was an active participant in my life for twenty years and I consider him to be my stepfather. He was an expert story teller and could recount his experiences with incredible detail. Mr. Ken grew up across the Midwest because his father was a pilot following the Second World War. As child in the 1950's, he fancied himself a cowboy. I've seen pictures of him in full regalia, boots and all. As a boy in Wyoming, he hunted for fossils. One of my favorite stories involved him shooting the snakes he encountered with a .22 revolver, while riding his horse named Trigger. I'd like to believe that this Smith & Wesson is that revolver, as the serial number dates to 1957. By his late teens, Mr. Ken began to travel. He spent time in Belgium before returning to the United States to earn his bachelor's degree. He continued his education at the London School of Economics and ended up working for a pharmaceutical company in South Korea during the late 1970's. Following his time abroad, he invested in an upscale restaurant, worked on a private railroad that traversed the Sierra Madres, and earned his Dive Master SCUBA certification. Mr. Ken was a frequent diver, particularly off the oil rigs in the Gulf of Mexico. By the late 90's, New Orleans became his home. At the Audubon Aquarium, he was a diver and made presentations to the visitors from the tanks. It was here where he met my mother at an event. From the point forward, Mr. Ken was a part of my life. When he passed, I requested to keep the K22. Once the estate is settled, it will be transferred to me in Texas. This revolver was actually with me in Texas when I got the news. This was before I started writing, but I took some great pictures of it at the range! You can see the wear marks on the barrel, cylinder, and a small chip on the stocks. Mr. Ken was hard on all of his tools. Prior to my interest in revolvers, I only fired this revolver one time on a vacation to the farm. As a ten year old who had only fired BB guns up to this point, this was an awesome opportunity! I remember shooting at an empty can. I can't remember if I even hit it. This particular revolver is a Smith & Wesson K22 Masterpiece, which was manufactured right before the introduction of model numbers. To my knowledge, this revolver was designed and produced with similar handling characteristics of the K38 Masterpiece chambered in .38 Special. It is relatively heavy for a .22 handgun, but the six inch barrel aids in accuracy. I have a hard time seeing all black sights, but even I can keep them in the ten ring at 10 yards. 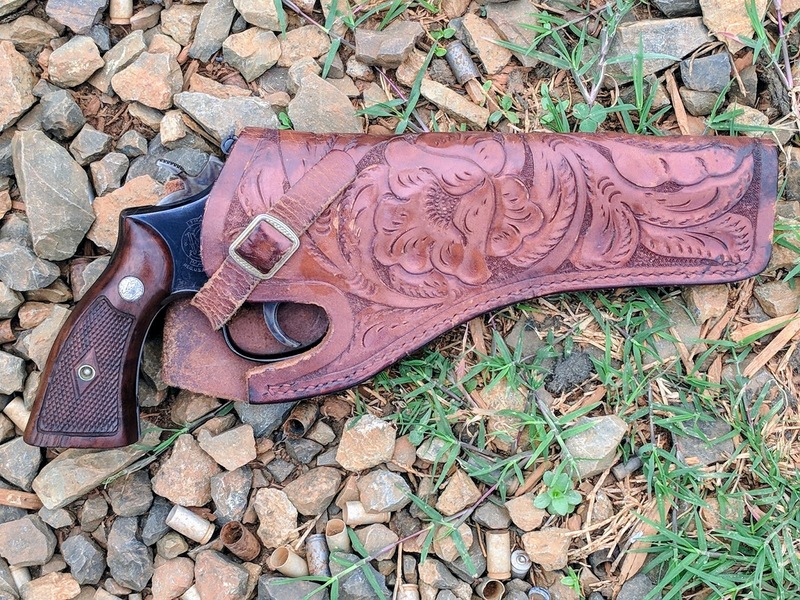 The craftsmanship of older S&W revolvers is impressive. The bluing is beautiful and the single action trigger is better than any of my "modern" Smith and Wesson revolvers. The double action is a bit heavy, but I believe most shooters fired this revolver in single action. 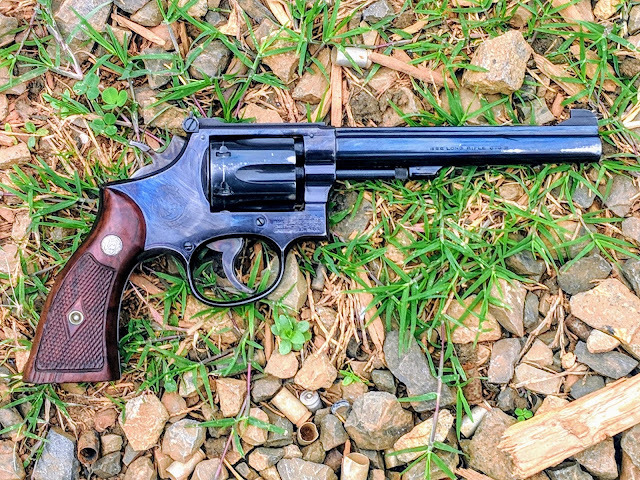 This wheel gun is a joy to shoot, even if it only visits the range a couple times each year. Later versions of this revolver are known as the Model 17. Smith & Wesson has even introduced a stainless steel target gun, the 617, with a ten shot cylinder and bull barrel. If you have been following Revolvers Only you may remember my post on the Smith & Wesson 617. I regularly compete with the 617 in Steel Challenge. I think it is important to note that Mr. Ken was never really a "gun guy." He owned a handful of firearms he thought were necessary for specific tasks, but really wasn't all that interested in firearms. He traveled while he was young and became a parent in his mid 40's. Although quiet at home, he was often the life of the party when there was a special occasion to attend. While he occasionally worked in different industries after he joined our family, his most important role was my stepfather. All in all, the man lived an incredible life. Mr. Ken was a very positive influence on me. He encouraged me to read as much as I can about everything that interests me. Whenever I was dealing with a problem in life, he always offered a story detailing how he encountered a similar circumstance. Each tale contained a hidden lesson that helped me overcome my current predicament. He was an wonderful man and I miss him very much. 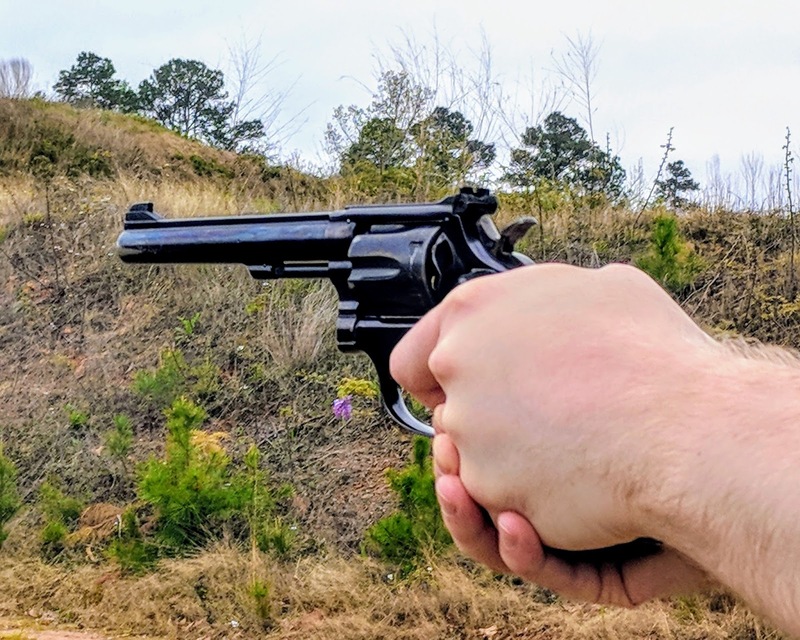 I hope to keep this revolver in good condition and teach any of my children how to shoot a real gun.